Join us in the worldwide feather tribe with this beautiful , originally hand carved then cast in Brass Flower of Life armband , hand cast then plated in Gold. 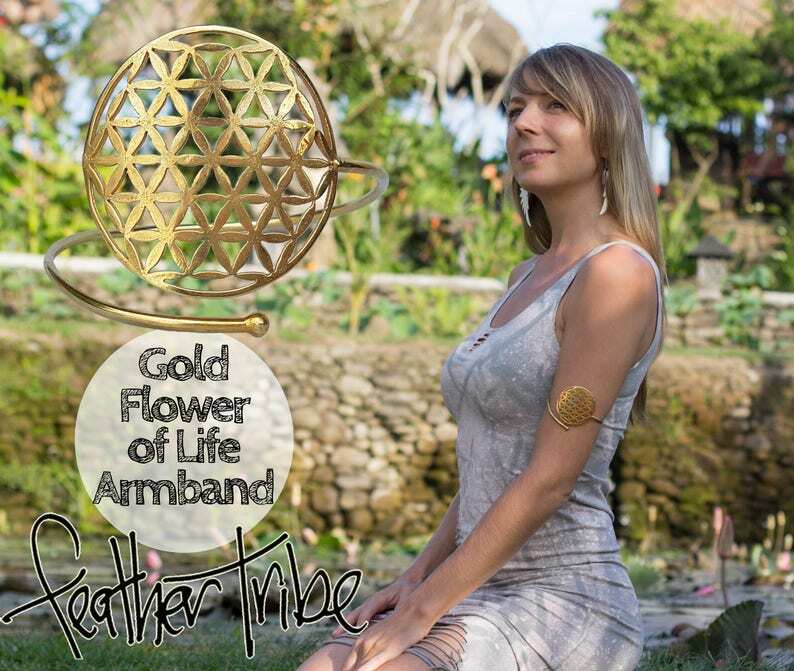 The Flower of life armband is excellent for healing and helps in connecting to the higher self. One size fits all: The pattern itself is 5 cms x 5 cms (1.96 inches x 1.96 inches) The band that wraps around is easily adjustable to fit all arm sizes. The arm band is hand carved and then cast in Brass then triple-plated in Gold.